Zimbabwe's President Robert Mugabe has stripped his powerful deputy, Emmerson Mnangagwa, of the post of of justice minister, in what is seen as an attempt to weaken him as the battle to succeed the 93-year-old leader intensifies. 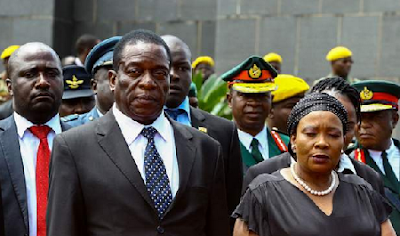 The move comes days after First Lady Grace Mugabe warned of a possible coup plot, and the other Vice-President, Phelekezela Mphoko, accused Mr Mnangagwa of lying when he alleged that he had been poisoned at a rally addressed by the president in August. Mr Mnangagwa and Mrs Mugabe are said to head rival factions jostling to succeed Mr Mugabe when he steps down or dies. The latest reshuffle is likely to increase the influence of the faction allied with Mrs Mugabe, some analysts say. The justice ministry, key in overseeing general elections next year, has been given to head of intelligence and retired army general Happyton Bonyongwe. For the first time, Mr Mugabe also appointed a minister of cyber security and threat detection, raising fears of a crackdown on social media.